Sedona's best t-shirts, for the whole family! For more than 30 years, Cheers of Sedona has carried a popular selection of quality t-shirts, long sleeve tees, tank tops, hoodies, and sweatshirts for the whole family, including the largest selection of Life is Good products in the southwest! Marilyn and Lee Athenour received the keys for Cheers on Halloween night in 1986, and Cheers has been the silly, unique “fun store” ever since. 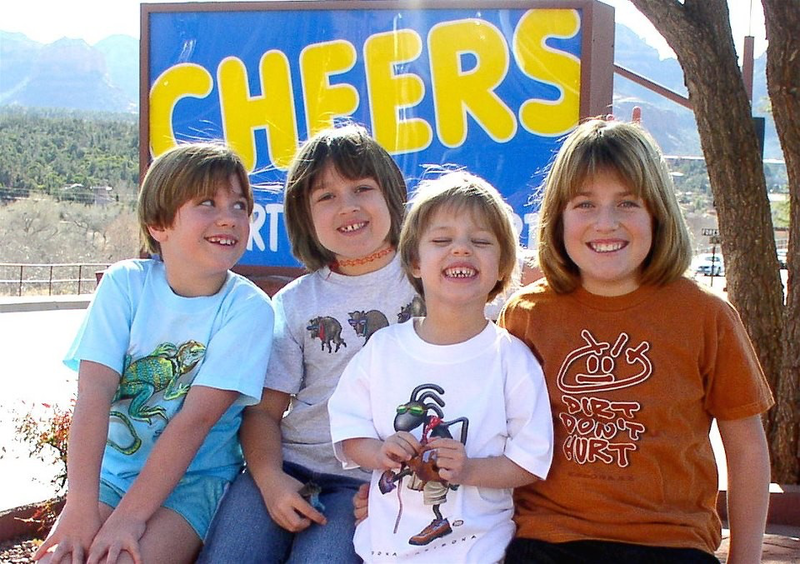 From then on, Cheers has made its mark selling stylish t-shirts and sweatshirts in Uptown Sedona. The Athenours brought their daughters and son-in-laws into the business, and they chose to raise their families here in Sedona and around each t-shirt shop location. You'll almost always find either second or third generation "Cheers family" members in the stores. Haley—the one on the far right of the photo above—spoke her first word in Cheers! We have served the visitors of Sedona for over 30 years, and we’ll never tire of it. We are always receiving new designs for our t-shirts, sweatshirts, and stickers, and new, exciting products for our shops. 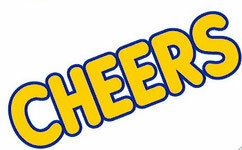 Cheers has two locations in Uptown Sedona. There’s a t-shirt for you here, so stop by on your next visit or vacation to Sedona! Take a virtual tour of our store below! Get a closer look at our bestsellers in-store.